Been dreaming about something that must have been good, ‘cause me stiffy Inch was sore and bleeding again. Tsk! Still, there were plenty of bandages and pure dermatological creams at hand and were put to use. I must tell the doctor about this when I go later. Now what have i got to tell her I thought, so wrote the things down there and then so as not to forget later. * About me new chest pains that are very sharp when i sneeze or cough vigorously. * Arthritis in me left knee very much worse, so much so I mo longer look forward to me walks. * My right ear-hole bleeding. Gingerly I tackled the going down the stairs bit, and started the laptop and made a cuppa. The poor old laptop played up this morning. I had when it was supposed to have loaded fully, a blank white screen. I cried a bit. Then ran the mouse over the screen, and as I did, the stuff came back on as i ran it over where they should be? Then I posted me Monday’s LOMM stuff in case it conked out later. Did some graphics on Coreldraw9, but it was hard work, it kept freezing. Went back up and beautified missen as best I could, the right ear-hole was bleeding again, I stubbed me flaming toe on the sink pedestal, and me gums started bleeding when I did me taggies. Had a feeling this was not going to be one of my better days like. I made the treat/nibbles bags up for the GP staff, girls at the Nottingham hospice shop and the nurses at the Warfarin check at the QMC. Remembering to put the stuff to donate in one of me two bags. Then made sure I’d got me hearing aids in, bus-pass in pocket, attack alarm in jacket pocket, and mobile phone with me. Then I struggled with the bags, as I set off from the flea-pit to the GP surgery. As I arrived at the doctors, I realised I’d forgotten me camera to record me adventures. Double Tsk! She greeted me cheerfully, and told me how well I was looking? Then asked what she could do for me. After an embarrassing few minutes searching me pockets and bags for the list I’d made and left in the bathroom back at the dump, I managed to remember some of them. She had a good look at me left knee, and seemed to enjoy manipulating it. She would make an appointment for an E-ray to be done on it, but there is a long waiting list. I forgot to tell her about me Inch problems… Tsk! She asked about the yobs and housing situation bless her. Then she took me BP, and as concerned at how high it was. I explained about me getting agitated over the BT Internet treatment I had to go through. She then told me to make an appointment for my Flu jab, as I am high priority/risk for them. So I offered me thanks to her, and approached the receptionists to make the urgent appointment. Wednesday 8th October booked. I left the surgery, and hobbled, and I mean hobbled painfully into Sherwood, to leave me stuff at the Hospice Shop. I forgot to give em me number though… huh! I caught the bus into town. Typical, just when I forget me camera, there was a fight going on between three alcho’s that I could have recorded. Never mind, better to forget me camera than medications I thought. Then I realised me midday one’s were due, so with the help of a little bottle of orange juice, I took em. While on the bus to the hospital, a kind lady banged into left knee with her shopping trolley, hey-ho she didn’t mean to. No fire-alarms at the hospital today. As I approached the entrance it dawned on me, I had forgotten me Anticoagulation Therapy Record log, do had to walk up two flights of stairs to the Anticoagulation Unit and get another copy – they were very nice about it. Worrying me a bit you know; the Doctor was very nice to me, the ladies in the Charity shop were very nice to me and now the staff at the Anticoagulation Unit were very nice to me. When I asked her about where I could get a new Emergency card to carry, as the one I had was wearing out – she just said, “I’ll do that for you!” And did too. Mmm? I wobbled gently down the stairs to the Haematology Dept, and there was a big queue, but no bother for me, I took a ticket and had a go at me crossword book. Afterwards I caught the bus to town, the limped to the bus to Arnold, where I tried to obtain some more microwave sausages, but they had none, and did not expect any-more to come in stock. Despondently I caught the bus back to Carrington. Taking the long route back to the hovel, to avoid some ‘Right ‘Erbert’ looking youths lurking near the Church. I got in, WC. And the laptop started first time, the new BT Infinity wasn’t too keen on starting and took a good while. Feeling very tired again now, so I’ll microwave me box of chips in gravy along with me tin of cocktail sausages and get misssen summat to eat. 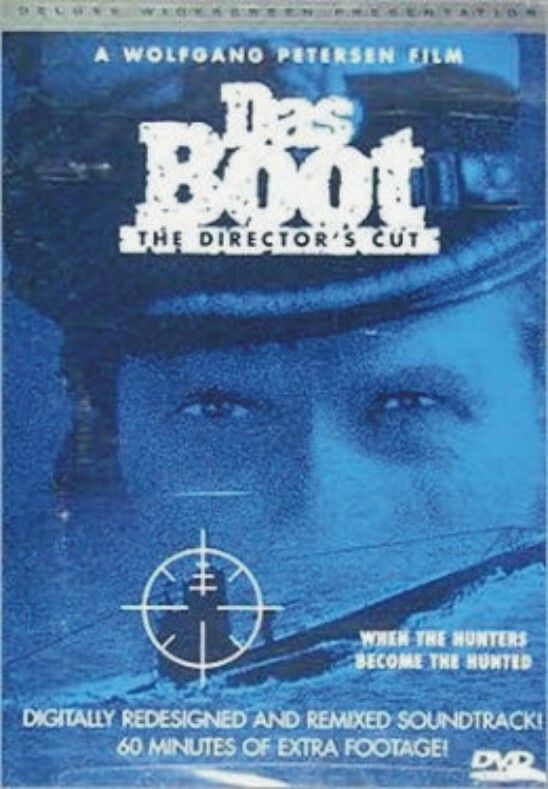 Might watch me Das Boot DVD tonight.